Cassiobury is a suburban residential area of Watford, Hertfordshire. 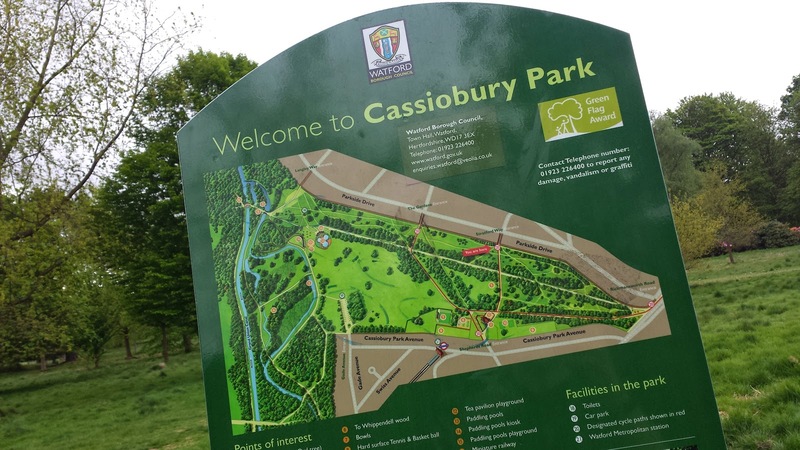 It is nestled just to the west of Watford Town Centre and takes its name from the former Cassiobury Estate, which in turn took its name from the Manor of Cashio. The centrepiece of the 693 acre estate was originally a Tudor building built in 1546 for Sir Richard Morrison. 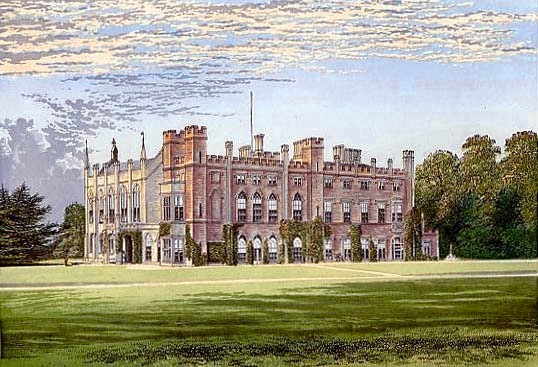 By the early 17th century it had become the ancestral seat of the Earls of Essex and was extensively remodelled by the 1st Earl into the grander, castle-esque Cassiobury House – a 56 room mansion which was lavishly decorated in the style of Windsor Castle and home to a substantial art collection. The Earl had hoped this would attract a visit from King Charles II, but in the end it never did. However King Edward VII and a young Winston Churchill did visit the estate in 1902. The estate remained with the family until the early 20th century, but the upkeep of the estate was becoming increasingly expensive and in 1909 the owner, the 7th Earl of Essex, decided to sell off 184 acres of land, mostly to Watford Council for new housing and the creation of a public park. Then in 1916, the Earl was knocked down and killed by a taxi which lead to a slow and protracted series of auctions which sold off most of the assets and then eventually, in 1927, the House was demolished to make way for more housing developments. Much of the salvaged materials were bought and shipped to the USA to create a house of the same name in Bedford, New York. Other materials were used locally to restore Monmouth House in Watford High Street. The location of the original house is outside the boundaries of the present-day park, between Temple Close and Parkside Drive which lie just just to the north. There are, however, two other buildings that survive the original estate; the stable block, which is now known as Cassiobury Court, it is currently used as a drug rehabilitation centre and a Dower House called 'Little Cassiobury' which is currently unoccupied and classified as 'at risk' by English Heritage – again these are just to the north of the park. 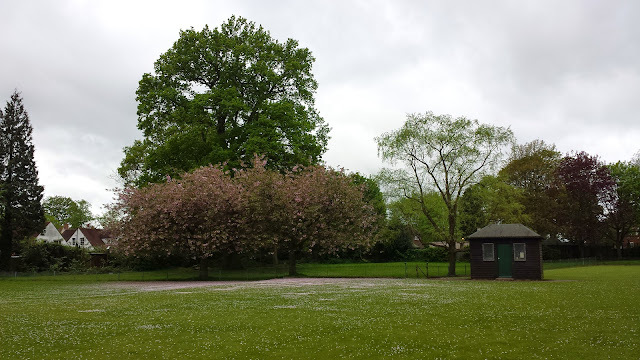 The current park covers 190 acres of land and is largely open mown grass areas with scatterings of trees. 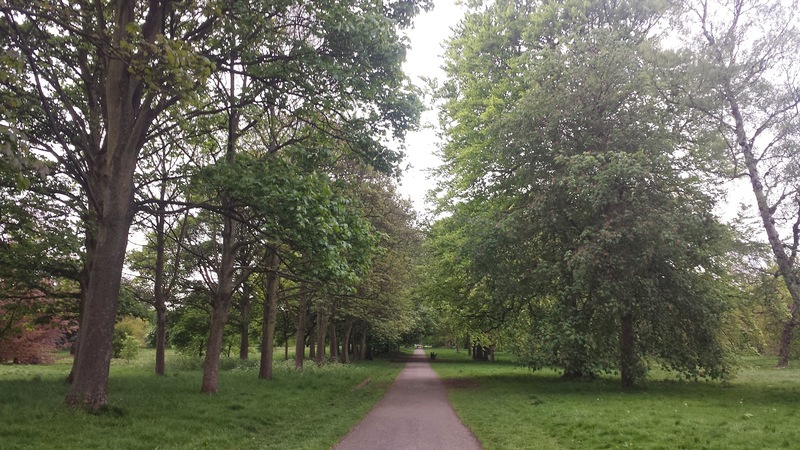 The land slopes generally downhill from east to west into the valley of the River Gade where the terrain becomes a little more wooded and after crossing the river you'll find Cassiobury Park Nature Reserve. The Grand Union Canal forms the western border of the park. 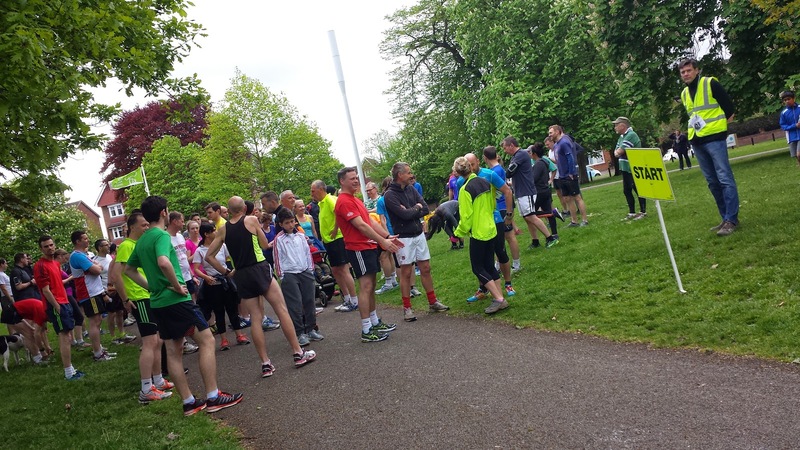 The former country estate grounds became home to Cassiobury parkrun on 28 February 2015 and as of May 2015 is attracting numbers around the 150 mark. 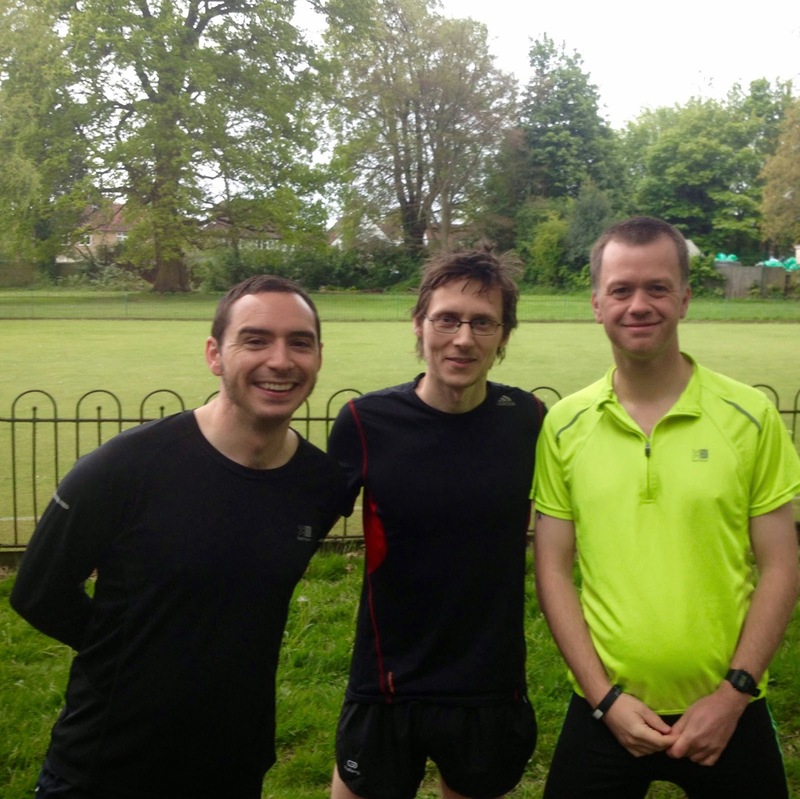 So with Dartford parkrun cancelled for the Trevithick Day Steam and Classic Car Fair, I persuaded Dartford parkrun event director Richey and fellow core volunteer Adam to accompany me on a rare parkrun touring opportunity. The official travel advice is to arrive on foot, by bike or public transport where possible and for anyone that does drive, parking is possible on many of the side streets around the venue but that it is limited. These streets have parking restrictions but the signs I checked did not apply on Saturdays so you should be able to park up fairly easily first thing on a Saturday morning. One thing that isn't mentioned on the official Cassiobury parkrun webpage is that Cassiobury Park actually has its own car park which, I understand, is completely free of charge to use. It is located in the south-west corner of the park, which is around a mile away from the start area. For the record, we parked on Shepherds Road. For those taking public transport, Watford underground station is located just to the south of the park. However, this station is due to close within the next few years and the line being diverted to Watford Junction. When this takes effect the closest tube station will be Cassiobridge which will be about half-a-mile further south of the current station. Watford Junction station is the closest you'll get by mainline and overground train services - this station is around 2km from the park. The park is also served by buses 336 and 352. Important info - There are some toilets inside the Cha Café, which is also the venue for the post-run coffee (other beverages are available) but these are very unlikely to be open before the run starts. On the plan of the park there is another set of toilets listed - however they are right over on the western side of the park and when I visited I didn't venture over there so cannot confirm whether they were open pre-run or not. Edit: I have since been informed that these are open from 8.30am in the summer and from 9.30am in the winter. 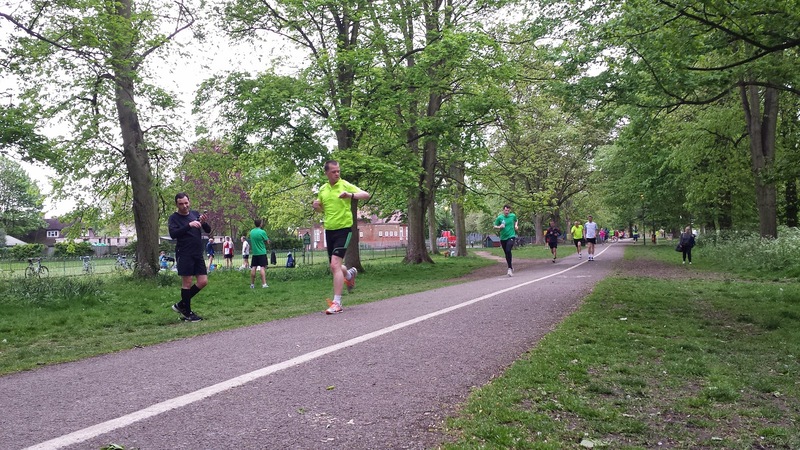 The 5k parkrun course is made up of just over a two-and-a-half laps around the eastern and central parts of the park, and come rain or shine road shoes are the way to go as the entire course is run on the tarmac paths that criss-cross the park, which means it's also great for buggy runners. The opening section of the run sees the runners heading west for 800 metres along the perfectly straight, tree-lined Central Avenue that, true to its name, runs right through the centre of the park. As mentioned above there is an ever-so-slight-but-not-terribly-noticeable downward slope as you progress from east to west along this path. At the western tip of the course there is a sharp left-hand corner and the exact running line is marked out with cones. I estimate that it's around 135 degrees so is not far off being a complete u-turn. The initial section after the turn rises ever-so-slightly before levelling out where the course passes the tennis courts, the Cha Café, a small playground, the croquet green and the finish area. It's also worth keeping an eye out for the carved owl tree which runners pass around this point. This particular path is shared use (pedestrians / cyclists) and there is a dividing line to separate the two-wheeled from the rest. This path takes the runners back to the Rickmansworth Road end of the park where there is another extremely tight left-hand turn lined with cones - I'd say this one is even tighter than the first. With the corner safely negotiated the runners are back on Central Avenue where they can now complete their second full lap of the course. When the two full laps are complete, the runners only have just over half-a-lap to go before swinging into the finish funnel which is just off to the right-hand-side of the path next to the croquet green - it's quite a tight turn to get into it and requires a slight easing of pace beforehand in order to be able to turn into it. If I was to make one suggestion, it would be to find a way to make the angle a little less harsh in order to let the runners have a more direct funnel entry. 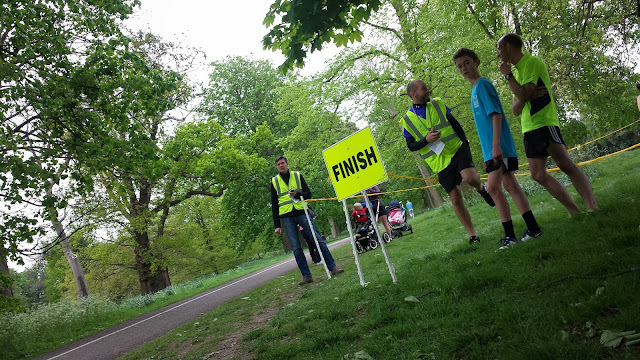 Barcode scanning takes place right next to the finish line and runners are then well-placed to offer encouragement to any participants that have not yet finished running. The Cha Café should be open by the time the run is over - we popped in and had a cup of tea but sadly couldn't stay long enough to sample anything further as we had to head back over to Dartford. 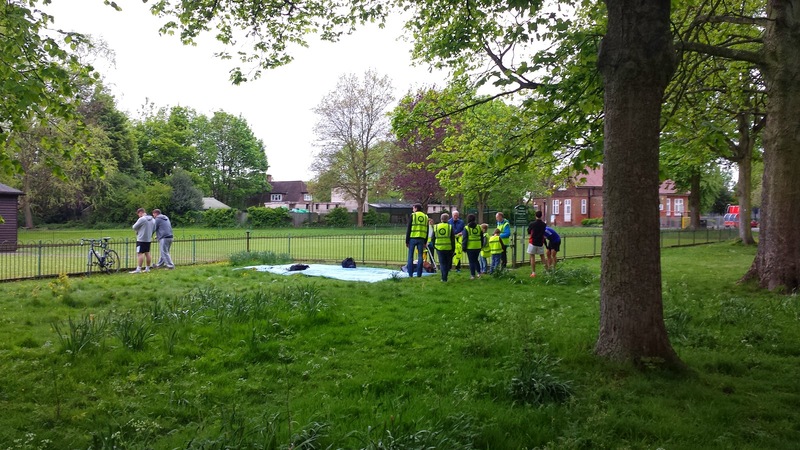 A feature that we sadly didn't have time to properly investigate is the 10.25 inch gauge miniature railway that resides over on the west side of the park. It opens at 12 noon on Saturdays and visitors are treated to a meandering journey along half-a-kilometre of tracks. There was an incident recently (April 2015) where a faulty spring caused a carriage to derail. This in turn lead to the following carriages crashing into it and overturning - initially trapping some children. Thankfully nobody was seriously hurt. Staying with the theme of features in the western side of the park, there is also a large play area for kids which was rebuilt in 2009 and alongside this are three paddling pools. Continue in a westerly direction and you'll reach the River Gade where you can cross the rustic bridge (which is adorned with animal carvings) and shortly after you'll reach the Grand Union Canal which forms the westerly border of the park. Fans of Star Wars may want to venture a little further west as on the other side of the canal lies a golf course, and beyond that is Whippendell Wood - an ancient woodland. 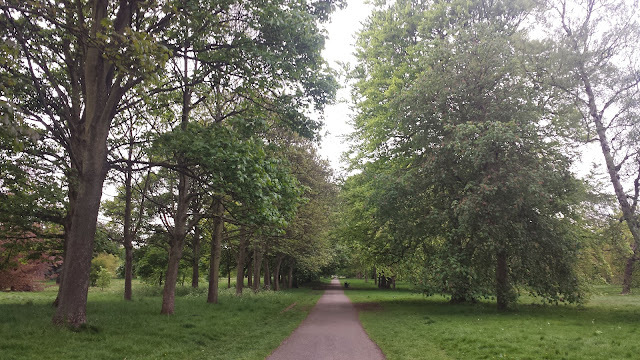 The wood was part of the original Cassiobury Estate and was used as a filming location for scenes on Naboo in the Phantom Menace - if you're going to try to find the exact spots you might find this website handy. So, it was a great morning of parkrunning in a very pleasant park. I feel like I should clarify that although I've mentioned a slight change of elevation it is barely noticeable and this course can only be described as flat and fast. The results were processed swiftly and I had received my result text message before I arrived back home. If you would like to see the course in more detail you can view my GPS data on Strava.